Parenting is the thing we MOST want to get right. But raising teenagers reminds us we are NOT in control. Here’s HOPE and a message you are NOT alone! 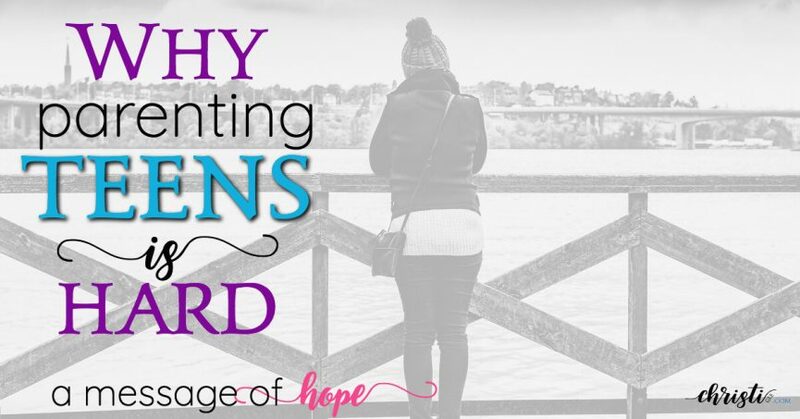 Life and this blog have taught me how desperately we need to hear others admit to the struggle. Once the first person breathes a word of it, you can almost hear the collective exhale of others finally letting go of holding their breath. This is true whatever the struggle. But there’s something about parenting that magnifies the response. Maybe it’s because this is the one thing we most want to get right. And when they are young, we are lulled into thinking we might actually BE getting it right. One month you are tiptoeing through the tulips with your child, holding their hand as they look up to you with complete admiration. Just a few months later … Boom. That landscape has become a minefield. And that look of admiration has become eye-rolling. Yep, congratulations, you’re the parent of an adolescent. There is SO. MUCH. GOOD mixed with the hard. … when he comes up from behind and hugs you spontaneously and then doesn’t ask for money. … when she responds with more than “fine” after you ask about her day and you actually get a glimpse into her heart and mind. … when you sit on the sidelines or in the audience at a concert and watch them reap the reward of practice, perseverance, and obedience to someone in authority. They give us so many reasons to smile. 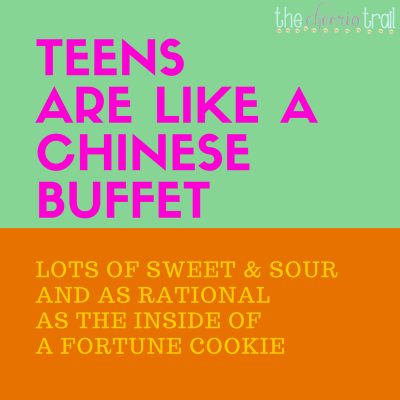 Teens are like a Chinese buffet: Lots of sweet and sour and as rational as the inside of a fortune cookie. The mixture of indescribable joy and unspeakable sorrow throws you for a loop. It’s a lot to keep up with. When my oldest two were toddlers, I met on Fridays with a group of other mothers from church. We brought food and kids … and laid it all on the table. The issues, that is. ~If you needed advice about a toddler who kept getting up during the night, you wouldn’t lack for input. As the kids got older, not only did our time shrink, the range of issues expanded. It’s not so simple – or accepted – to talk about the struggles at this stage. Thanks to social media, we can still keep up with each other. But on that screen, we see the PR version – the highlight reel – of our friends’ lives. If only we could get back together for a playgroup. Just like when they were young, we’d observe each other’s chaos. Let the eye rolling commence. Seriously, though, it’s just so backward. Raising teenagers is the parenting season when we really need to know we aren’t alone. It’s the stage when we are craving hope. And sadly, it’s the one where we feel most isolated and lonely. It’s so easy to begin to believe that you (the parent with fears, doubts, and heartache) are in the minority, but you are not. Seriously? Who says that to a frazzled young mom? I thought she was out of her mind. Turns out, she may have been right. Two in diapers versus two in their teens? I’m taking bets. 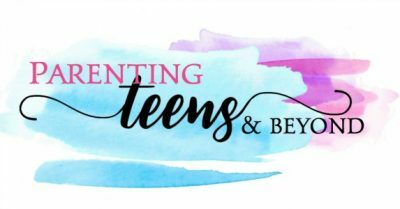 Raising teenagers can leave you just as weary as endless nights of teething. But whereas those exhausting baby days were also full of heart overflowing moments, this season sometimes brings a sense of loss and empty spots. As your kids begin to separate, they take a piece of you with them. How can you feel both full and empty at the same time? You ride a roller coaster of emotions – your own – while your teen is on one of those horrid “amusement” contraptions that takes them up 400 feet in the air and then drops straight down at 90 mph. Art imitates life. Well done. It was the kind of episode that makes you wonder if your home has been bugged. Just when you think, “You can’t make this stuff up,” someone does and puts it on screen. I am captivated by shows and movies that are so well done that I see my struggle on the screen. But they are over in less than two hours, with some version of resolution and release of tension. And that’s where art’s ability to imitate life truncates. Because life is full of transition periods that we can’t just insert into a video editing program, apply morphing effects, and create the illusion of time all in the span of minutes. Transitions take time. Transitions are hard work. We see it in nature. … Going from winter to spring doesn’t happen in a day. … The caterpillar must struggle to exit the cocoon, for it is in the struggle that the wings grow stronger. … The pearl emerges from an oyster’s healed wound. These raising teenagers and young adult years are no different. They are a transition time. In effect, you are giving birth again. Only there’s no epidural for this one. Ok, so maybe the birth analogy is a little much. Or maybe not. Think about it. Whatever you decide about that one, think about this: You are a veteran at this transitioning stuff. … That teen of yours is walking – even driving – right? He’s not still crawling. You helped that happen. … She’s dressing herself, right? Oh, maybe we shouldn’t have gone there. But you get the point. … And the toilet is mastered. You get credit for the assist on that. Now granted, those younger transitions were short-lived. (Well, maybe that toilet thing took a while if you had boys.) But in general, you got through them in the course of months. This transition will be the longest of all because it is the most important of all. And that’s because this is kingdom work. Really, really, important kingdom work. And that’s good news because kingdom work carries kingdom promises. Our heavenly father knows how hard it is to raise mature children. Scripture speaks to our need to know that this is all worth it, that God is the one working, and that He provides supernatural hope. And finally, I love this promise. It is relevant to so much of what we attempt in life, but I think raising children takes a top spot in its application. Dear comrade, unlike that sitcom family, it doesn’t fade to black after you realize it is hard and it hurts. You have hope and you aren’t alone. And although you can’t rush through this transition, there will come a time when your memory will morph and resemble a sweet montage showcasing only the best moments from these years. and who even begin to believe you know something. Five of these books are still on our bookshelves. Most of them are tattered from loaning them out over and over. We used Life on the Edge as the basis for a Junior High retreat. It’s SO good! Yes, the books are older. If you want advice on restricting cell phone usage or limiting internet time, there are plenty of blog posts out there. But if you’re looking for well-seasoned advice that speaks to the heart of the issues, these are the books I recommend. 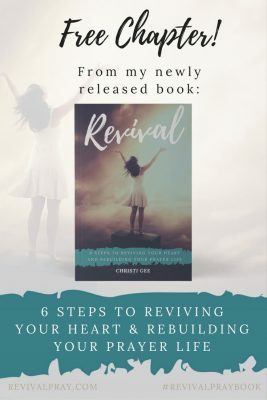 Why do they act that way is NOT Christian, but I have loaned and recommended it to many junior high parents looking to get a little understanding into the changing world of teens. Parenting Teens with Love & Logic is worth checking out, but it’s not a personal recommendation. I’ve heard good things about it and place it here for you to check out. I’m glad I came across your article. 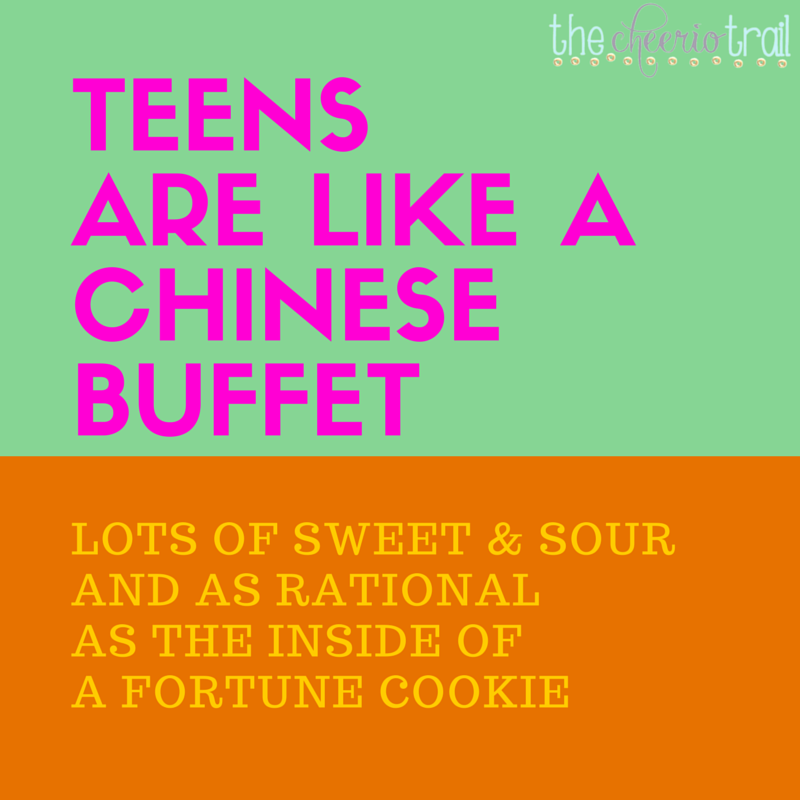 For awhile we feel like we’re the only one struggling with our two teens. Their changes that have caught us quite not so prepared yet. Thank you for your sharing. One reason I am not active in social media is how much the PR version gets you. So glad I came across your article and making me feel I am not alone. 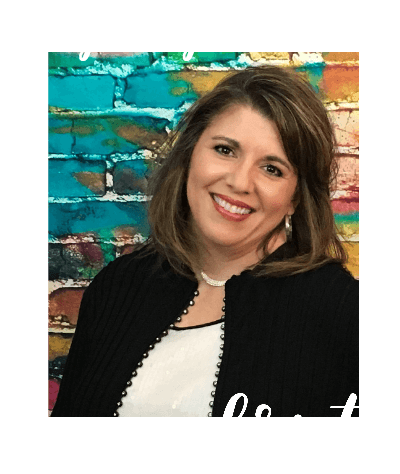 Thank you Christi!